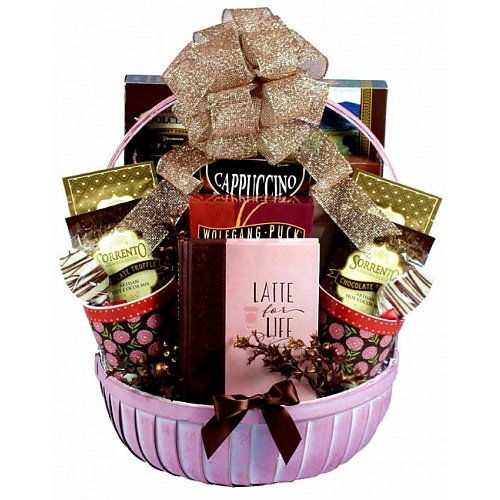 This glitzy gift of goodies and gifts is just gorgeous! It arrives with a large selection of cute coffee themed creations, delicious and decadent delights, scrumptious sweets, tasty treats and a bevy of brews for them to enjoy! It’s a lot of latte’ and so much more! "Latte for Life..45 Devotions from the book of Ruth"
The "Christmas Coffee Shop" is beautiful, it is fun and it features gifts and gourmet goodies that they will love!